The Ostrich Safari tour takes you over the farm, which is located in a beautiful area on the road to Groot St. Joris in Santa Catharina. The Ostrich Farm stands for fun for the whole family and makes you experience the feel of South Africa. 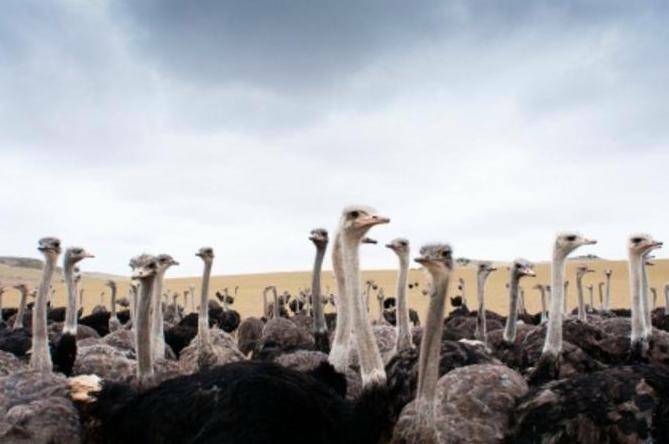 Get up close and personal with the ostriches and learn all there is to know about them. Our tour takes you across the farm in a safari truck and during the tour you will encounter all stages in the life of ostriches. Our guide will take you through all these stages, from egg, to baby ostrich to adult. Find out all facts and funny details about ostriches. The tour starts every hour. At the farm you will also find a couple of emu (Australian ostriches) and during the tour you will encounter potbellied pigs and Nile crocodiles. If you want to experience something out of the ordinary during your holiday, look no further! The Curacao Ostrich Farm is great fun for both kids and adults.